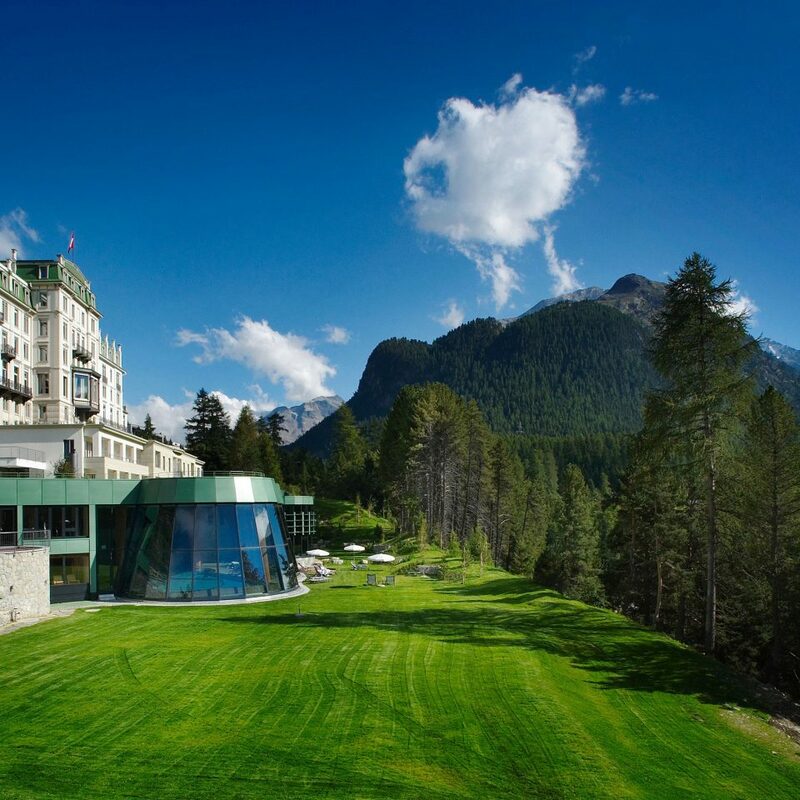 In the tiny village of Pontresina, in Switzerland’s Engadin valley, the Grand Hotel Kronenhof is an opulent Alpine retreat with postcard-pretty views of the surrounding glaciers. Swiss-owned since 1898, it has neo-Baroque interiors (think cherubs on the ceiling and elaborate stucco work) that are indicative of this hotel’s long and impressive history. Dark pine panels, so typical of 19th-century Swiss style, create a warm welcome, and panoramic windows offer dramatic views at every turn. 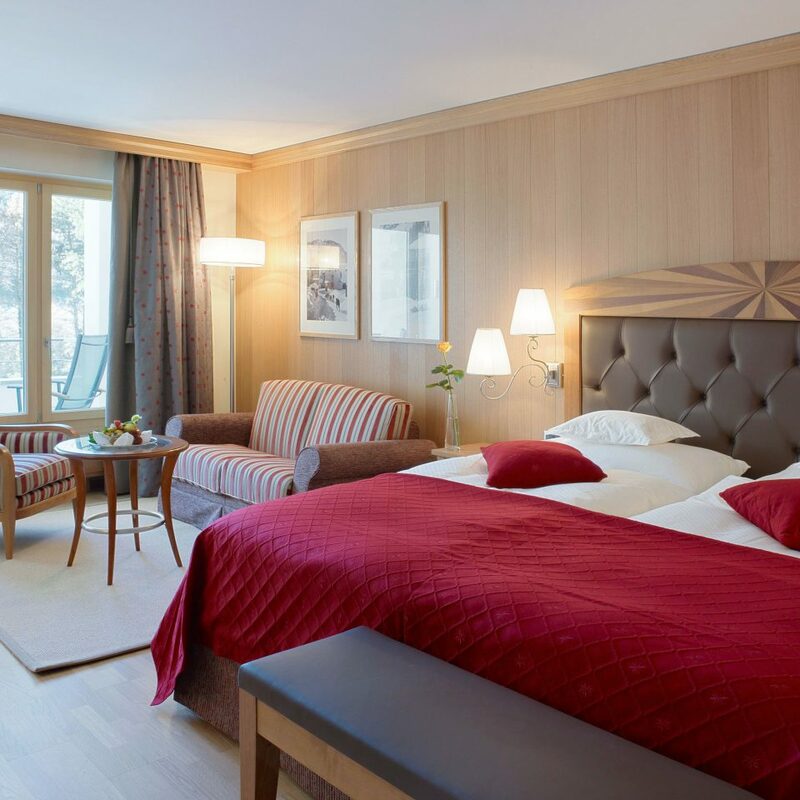 With cherrywood-paneled walls and huge windows, the guestrooms have a luxe log cabin feel. 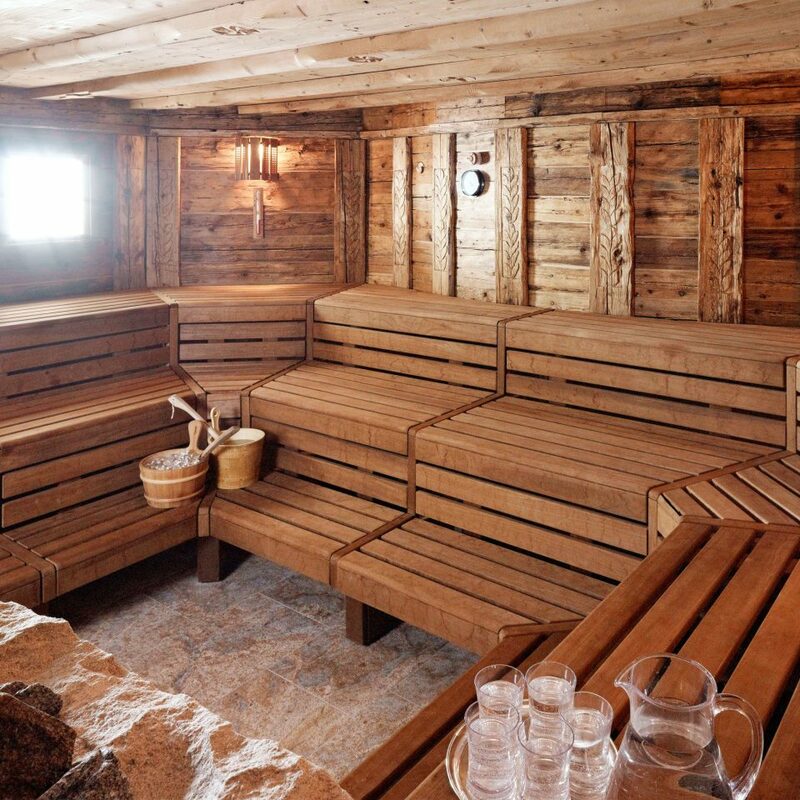 Fling open the windows for a breeze bearing the scents of the Alps (Swiss pine and other evergreens). 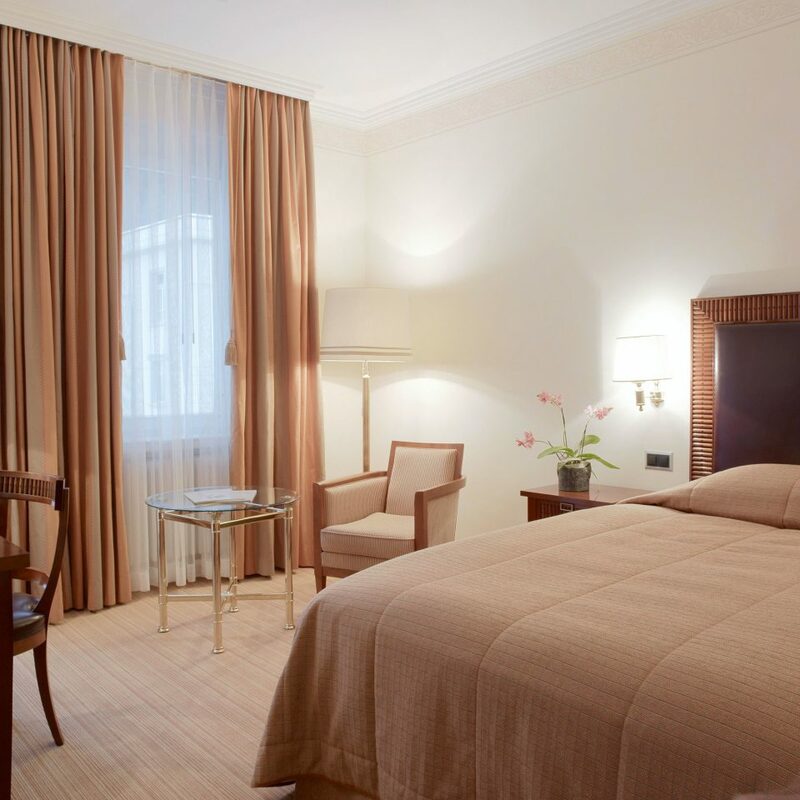 The Standard Rooms are located in the Ganzoni wing and overlook the inner courtyard; Deluxe Rooms feature comfy chairs and a sofa; most have a balcony or terrace. The small touches — a generous fresh fruit bowl, underfloor bathroom heating, full-size L’Occitane products and a powerful walk-in shower — are indicative of the Kronenhof’s attention to detail. The hotel has two fine dining restaurants: the aptly named Grand Restaurant, which has lavish ceiling paintings and sparkling chandeliers, and the cozy, wood-paneled Kronenstübli Restaurant, a gourmet spot that serves classic French and Italian dishes. 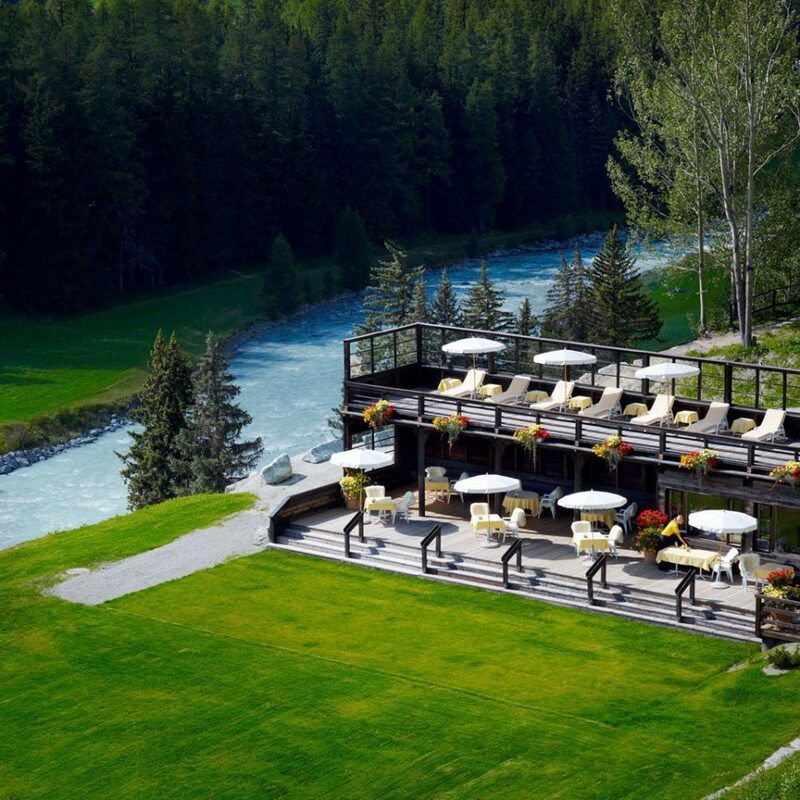 For laid-back lunching, have a light Swiss bite on the terrace at Le Pavillion. 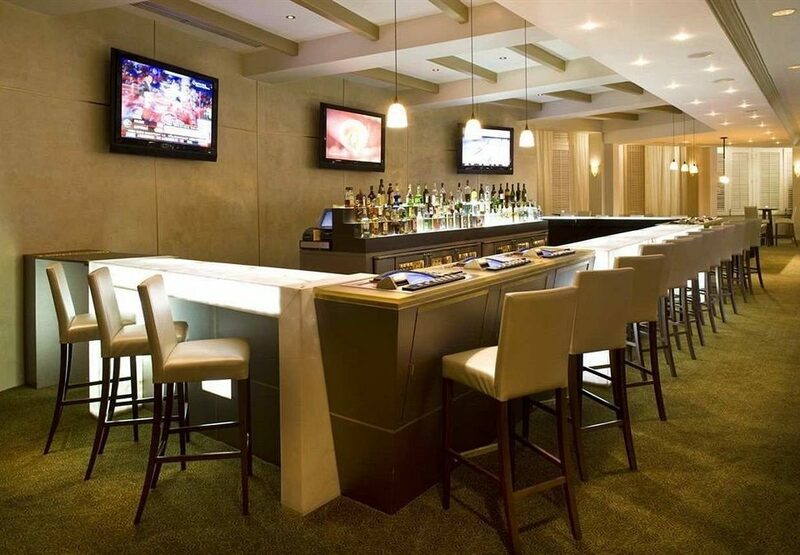 Finish the night in the lounge bar, where you can listen to live piano music every night from 9 p.m. 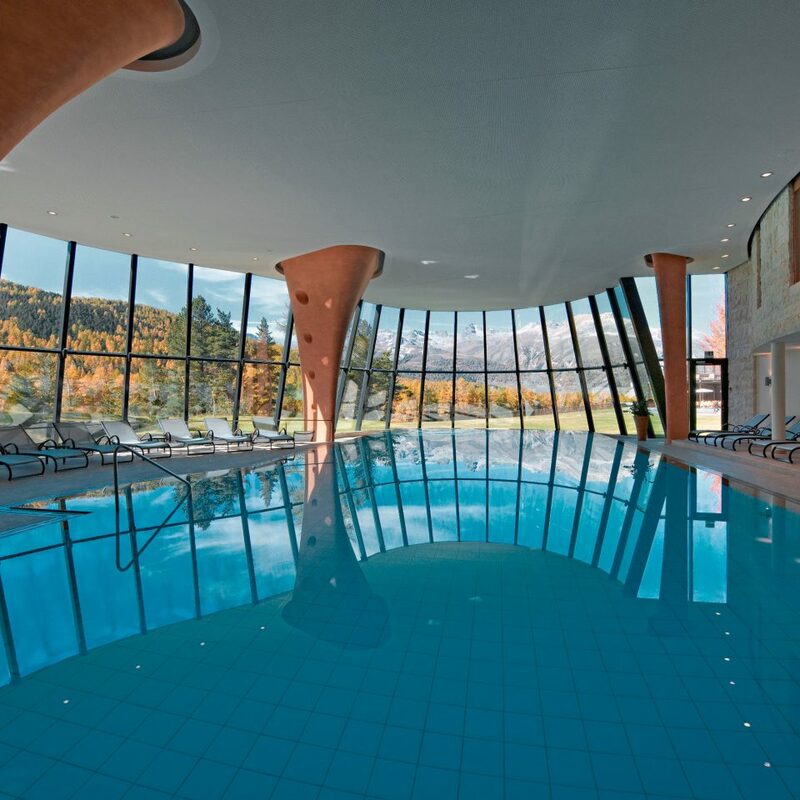 The award-winning Kronenhof Spa is a health haven with a large glass-fronted indoor pool with views of the mountains, a Bio Sauna scented with essential oils, a saltwater grotto and a flotation room with underwater music and calming wave projections. Indulge in a therapeutic massage using Alpienne products, a product range with bioactive ingredients including honey, propolis, arnica and marmot oil. 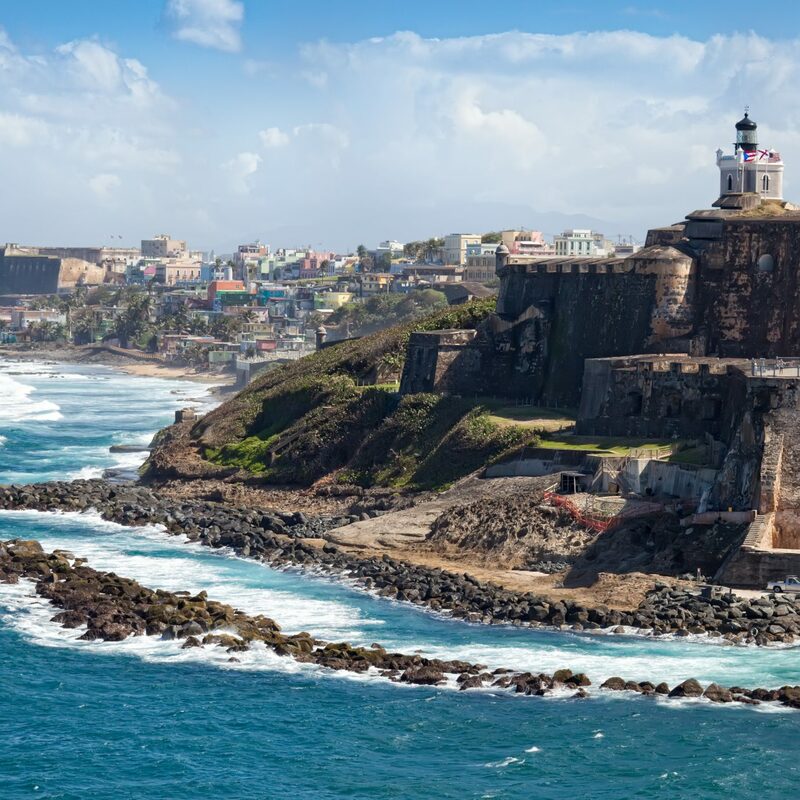 The surrounding area is a hiker’s paradise, with a 360-mile network of idyllic trails. The friendly staff at the hotel can give you well-informed recommendations, whether you’re after a casual walk, a romantic stroll, a family outing or an ambitious climb. 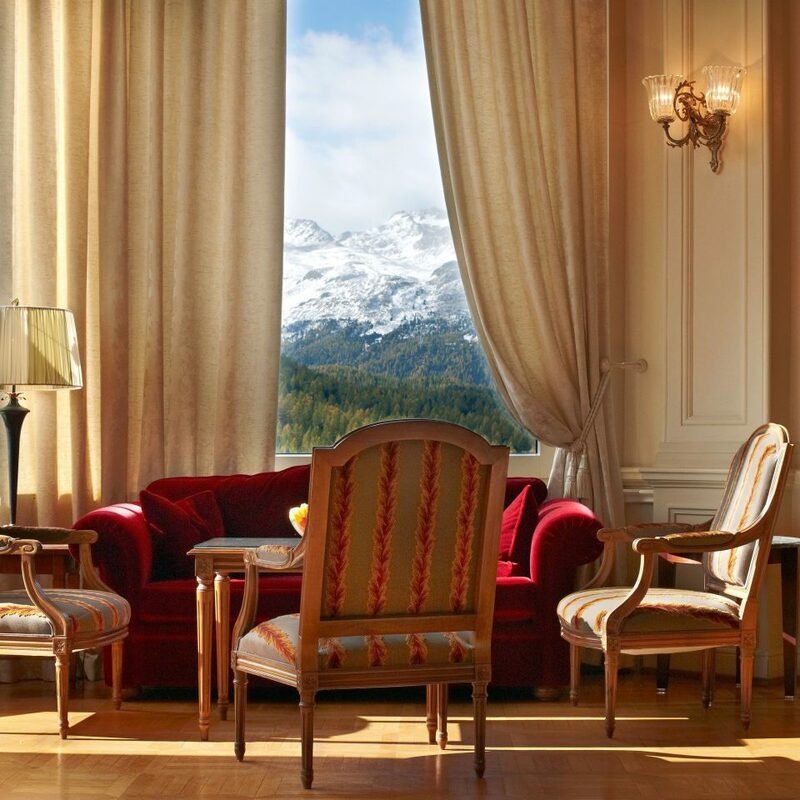 The Kronenhof’s sister hotel, the Kulm, is 10 minutes away in neighboring St. Moritz, and a spa or dinner reservation can be easily arranged. There are 18 mountaintop restaurants nearby; ask the concierge about discounts. And it’s worth mentioning how surprisingly close to the Italian border the property is. The Valtellina region of northern Italy, famous for its wines, is an hour’s drive away and perfect for adding some unexpected variety to your Swiss adventure. We visited the Kronenhof in Pontresina during the ski marathon. For my wife and son, Pontresina is the perfect location to view the ski marathon. The hotel offered a shuttle bus and early breakfast in the morning. 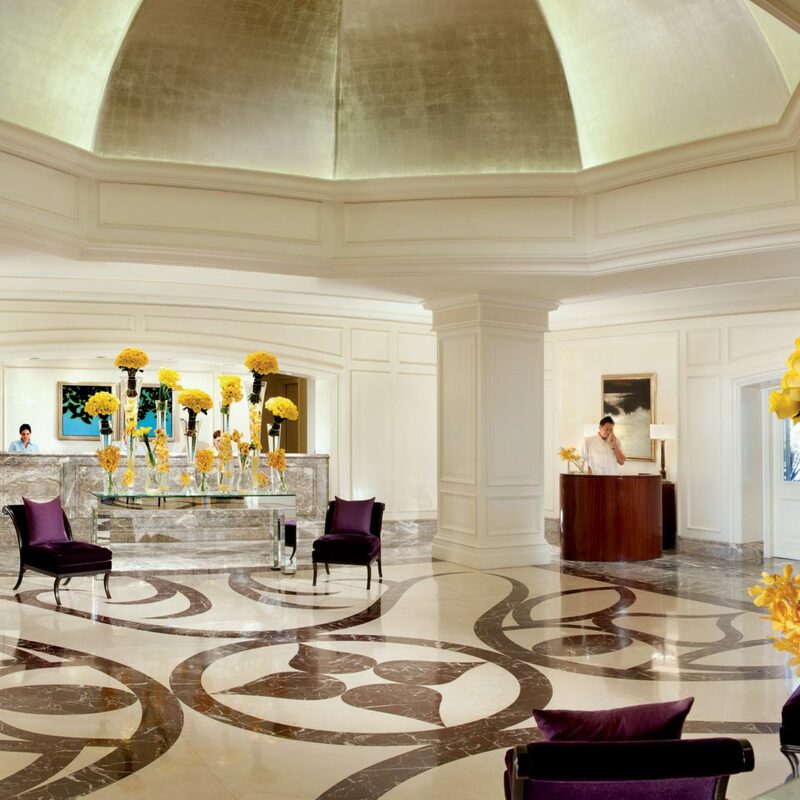 After the marathon, you can relax in the stunning and spacious spa area. The room was very spacious with a nice view over the ski tracks and forest. The breakfast buffet is probably one of the best we have ever had, including fresh regional products. The hotel staff is very friendly and forthcoming. There is also a large indoor play room for kids (kids club), which makes the hotel an ideal stay for families. The hotel has two restaurants for dinner. If you get a chance, you should try the tasting menu at the Kronenstübli during your stay. Thank you very much to the staff at the Kronenhof for providing an amazing stay for us! We will be back! My mom and I recently (March 2019) spent a magical few days at the Grand Hotel Kronenhof. The hotel exceeded all of our expectations - thought they were of course high to begin with. The hotel is a Belle Epoque gem, exquisitely decorated throughout. The beautifully and tastefully decorated salons, several charming staircases and lovely nooks and crannies are enchanting and take you back in time. And all this surrounded by the majestic mountains. The service in every single aspect was outstanding. On the evening of my birthday when we returned to our room we found a delicious cake along with a handwritten note from the wonderful staff. The great spa is the icing on the cake! 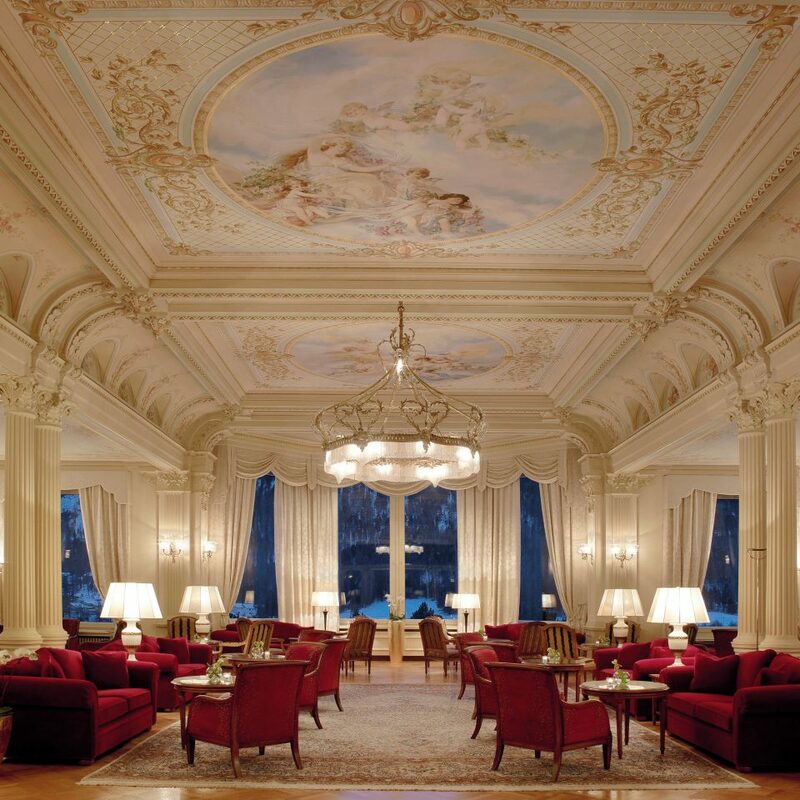 My family and I have stayed in some incredible hotels throughout the world, and Grand Hotel Kronenhof is among the very best we've experienced. Thank you all! We can't wait to return. 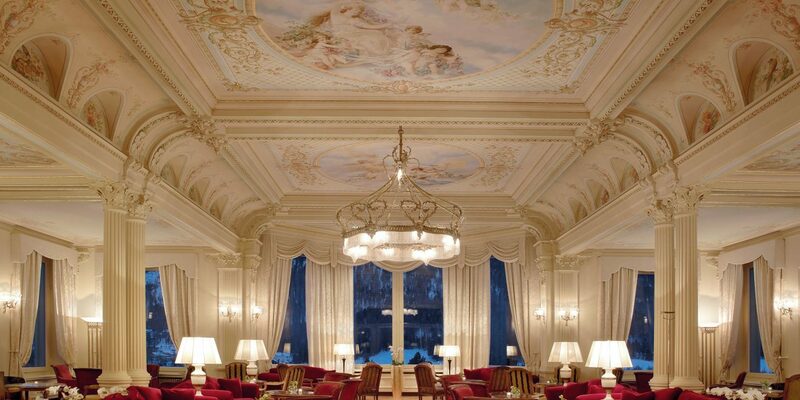 Grand does not even begin to describe the Grand Hotel Kronenhof! 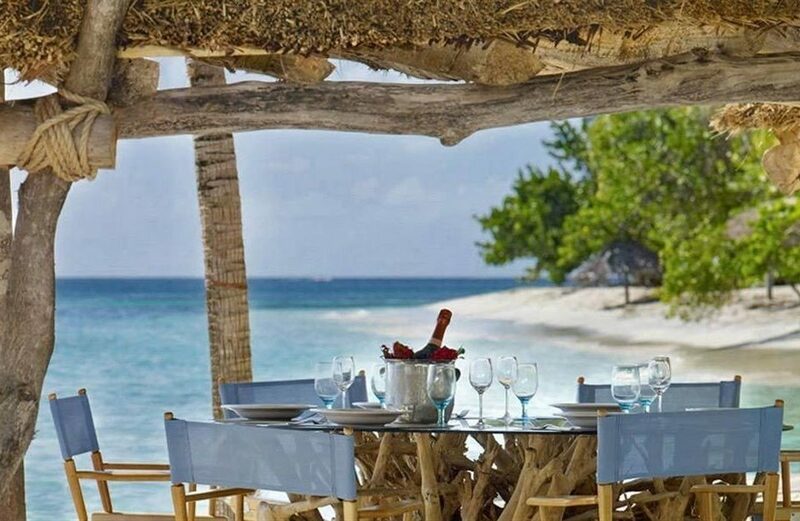 Magnificent & luxurious, beautiful at every turn with a warm & friendly staff. My family was there as part of a larger family celebration with constantly fluctuating groups of people & the staff couldn’t have been more gracious & accommodating. The guest rooms are charming old world with modern amenities, the spa is top notch & dining room is gorgeous with cuisine to match. The town of Pontresina is charming & spectacular skiing is just a short shuttle away. I cannot recommend Grand Hotel Kronenhof enough! Beautiful hotel for families with amazing service! My husband, myself, and 1yr old daughter had the pleasure of staying at the Kronenhof for 5 days recently. Based on pictures and reviews, I had an idea was what a grand place the hotel would be, but pictures do this place no justice. Stepping into the Kronenhof is like stepping back in time. From the chandeliers to the beautiful frescos, the creaky floorboards to the wood burning fireplace, this hotel has a feeling like no other. One of the main reasons we chose the Kronenhof was because of the amazing amenities for children. The Kid's Club is wonderful and full of fun things for children to play. There are even scheduled activities for older kids. There is a small splash park in the spa for kids which has a waterslide, sprinklers, and small pools. We took advantage of the babysitting service and our daughter had a wonderful time. There is even a Kid's Restaurant located next to the grand dining hall. Besides all the amazing amenities, (the spa is amazing and the view is breathtaking) the service was absolutely out of this world. Dinner was incredible, there was always a highchair waiting at our table for our daughter. Ivo, one of the waiters we had the pleasure of having most days, was so sweet with our daughter. Our requests for foods for our daughter were met without hesitation. One evening an avocado was brought for her filled with gummy bears, so sweet. The dining hall is breathtaking and the piano playing was beautiful. We opted for the half-board option for our stay and were very happy we did. The five course meal was delicious each night and the wine list was great. Ilanka, who showed us to our room and was our daughter's babysitter one day, was incredible and even had lunch prepared for our early morning departure. She was very helpful when checking in and went out of her way to help. She was amazing with our daughter and was always happy to see her. Our room was a beautiful corner junior suite on the 2nd floor. We had lots of space for our daughter to run around. Upon arrival to the room, the crib was already prepared and there were even rubber duck toys for our daughter. Each day a bowl of fresh fruit was left in our room and a little something for the little one. Room service was very quick and yummy. 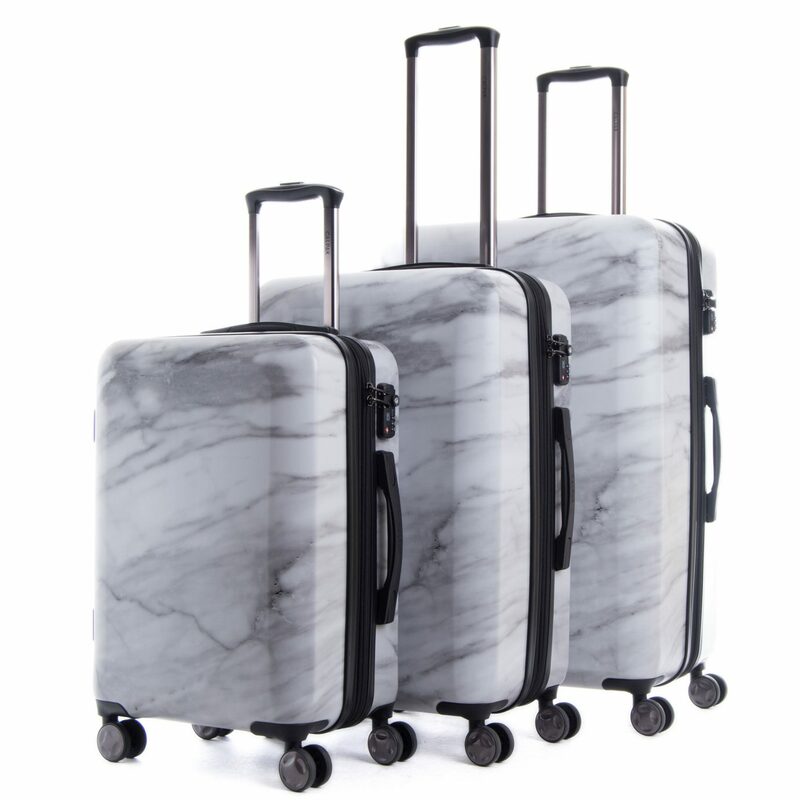 If you are traveling with children and want a luxury stay, this is the perfect place. Thank you to the Grand Hotel Kronenhof for making our first trip to Switzerland one we'll never forget.